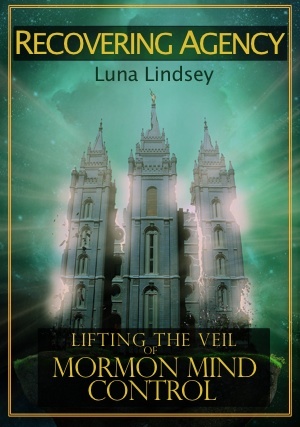 I often get asked, if Mormons use mind control, then don’t all religions use mind control? Don’t all groups manipulate? To some extent, yes. But to vastly varying degrees. As humans, we’re adapted to form social ties and to influence one another. We have physiological mechanisms that make us open to certain types of influence, and closed to others. We have tendencies to go along with the crowd, to “other” (dehumanize) people not in the in-group, to shame those who don’t agree with us, and to feel shame when we’ve done something the group has told us is wrong. We all have biologically-driven shortcuts to our thinking that save us time but that also make us vulnerable to error and manipulation. All of these tendencies can be leveraged by leaders and groups to manipulate and even to coerce. If this is all true, then what’s the point in singling out Mormonism? Aren’t all groups the same? No. Some groups are worse than others. It’s a spectrum. Mormonism isn’t the most psychologically coercive, nor is it the least. But it is coercive enough to be worthy of analysis and criticism. Certain doctrines and cultural habits and leadership policies bar Mormons from the free agency they’ve been promised. 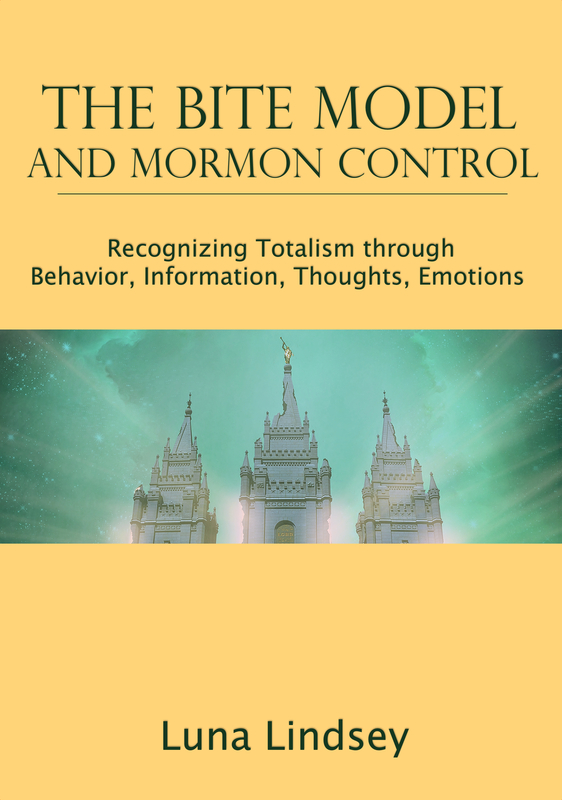 Mormonism is a totalist, all-encompassing system that defines all of reality. I could write about groups that are more coercive than Mormonism, but I experienced LDS thought-reform first hand. So I know the most about it. I’ve been a member of other groups of all kinds. I’ve never joined another religion, but I’ve attended their meetings. I’m a member of various special-interest and political organizations and social circles. And I’ve studied all kinds of groups from the outside. I can see the clear differences between them. There are groups which I call “knitting circles.” These are the least likely to develop coercive methods. They have very specific (non-totalist) goals, for instance to help the homeless or to knit sweaters. They don’t try to tell members how to live their lives outside the group. Free discussion and dissent is allowed and even encouraged, for instance if you have new ideas on how to help the homeless or want to share a new scarf pattern. And if you decide you don’t like knitting anymore, or you’d like to knit somewhere else, you can leave at any time without any consequences. No one will think you’re a bad person, and you’re certainly not going to hell for it. Religions and political groups have wider scopes. They do seek to describe vast portions of life. For this reason, such groups can tend to become intrusive and unethical, but even here, there are many religions which are more open, transparent, and flexible than others. There is no single dividing line between healthy groups and cults. It’s a spectrum, and any given group, even knitting circles, can fall closer or further from that controlling end. I’ve seen “knitting circles,” i.e. small special-interest-focused groups, turn from being very open and flexible to becoming more manipulative, shaming and ostracizing those who don’t choose very specific ideological sides. I think it’s possible for a group to change in the other direction, as well, and that’s my hope for the Mormon Church. In Recovering Agency, I describe 31 mind control techniques. As I point out, many techniques aren’t necessarily used to control. Because these techniques are based on the normal operating procedures of our minds, their existence in any given group doesn’t mean they’re being used for coercive purposes. Influence is normal and healthy. It’s part of how we humans communicate and persuade one another. It’s all a matter of what direction that influence is going. I use this power to persuade, to be sure. As do many groups. The question is, what am I persuading you of? If I were persuading you to follow me and trust me in all things, to obey me, to put your doubts on the self, to change beliefs and behavior in all ways to be like the person I want you to be, to dedicate most of your time to me, to never read any author who criticizes me… Then I’d be using my persuasive powers for evil. As much as I’d like my writing to convince you of my point, I would never do so at the expense of you losing yourself, of restricting access to whatever else you want to read, or try to prevent you from reading authors who make opposite points. I encourage you to read criticism of my work. I want you to learn as much as possible about everything. Because the world is an amazing and beautiful place, full of so many varied and wonderful perspectives. They are all worthy of consideration. Storytelling (and other forms of trance induction) is just one example. The same goes for other influence techniques, and other individuals and groups who use them. Is the influence constantly directing you to be loyal to a specific person or group? Does it build structures that invade your whole life? Does it try to isolate you from outside influences? Does it create a bunch of rigid rules that must be followed to prevent dire social, emotional, and spiritual consequences? If the influence is used to establish fear against leaving the group, it’s coercive. If it’s used to make members psychologically and socially dependent upon the group, it’s coercive. If it’s used to instill shame for thinking normal thoughts and being yourself, it’s coercive. If it’s used to establish impossible standards of purity and create steep consequences for being inadequate, it’s coercive. If it prevents you from criticizing the group or its leaders, it’s coercive. If it’s used to demonize outsiders, it’s coercive. If it’s used to set the system up as the one-and-only valid point of view, it’s coercive. Any group needs to protect its members by setting up rules to protect its members from harm. It is perfectly reasonable, for instance, for a group to ostracize a member who harasses fellow members. Harassment, theft, disrupting meetings, are all tangible sources of harm that should not be tolerated in a healthy organization. Outside of that? A healthy group accepts members for who they are. 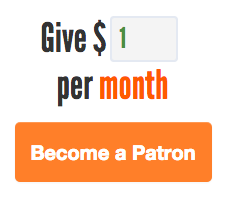 It accepts differences of opinion on important matters and allows free and open discussion of those opinions. It allows members to leave or even to be members of multiple groups simultaneously without fear or pressure. This is the essence of unconditional love – love with no strings attached. It is also the essence of a healthy, ethical group.